TMetric is a simple and accurate work time-tracker that sets you free from tedious time reporting. A software vendor with 20-years of experience. Time tracking is a must-have for any business. If you add time entries manually, it takes you 15 minutes on average per every working day. It means you lose 66 hours per year! Recover this time with TMetric and get access to a time-management solution that works 24/7. 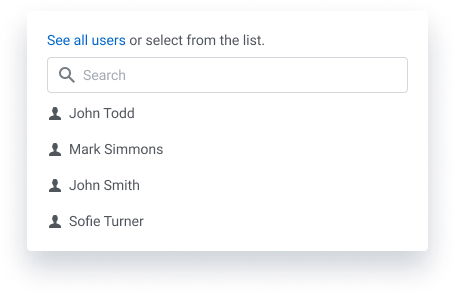 TMetric empowers your favorite apps by easy sync to your tasks, emails, documents, or support tickets. It creates a seamless flow and keeps you focused on the job. 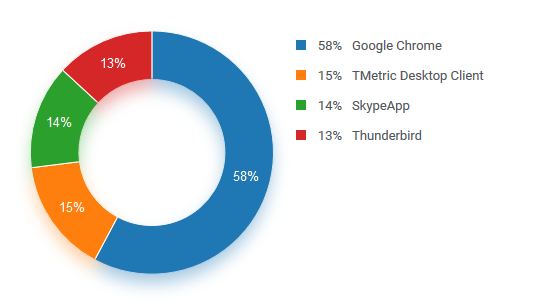 TMetric Integrations List includes dozens of supported web apps, and with new updates and additions, it constantly expands. 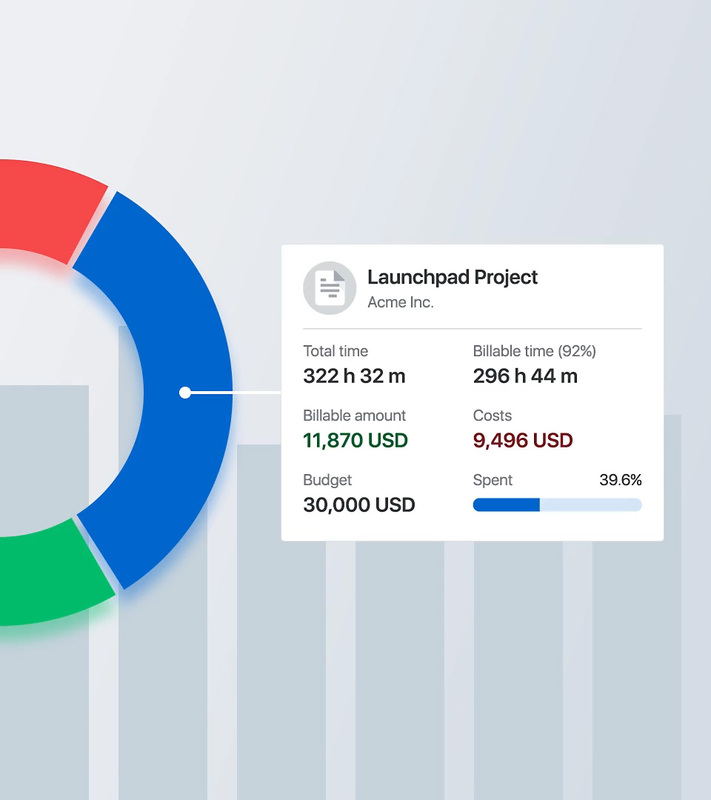 When launching a project, you do a work breakdown, estimate tasks, and start working. TMetric tracks your working activity by minute and analyzes your productivity in depth. Get your employees more engaged with the reliable tool of productivity measurement. When developing projects, you want to forecast profits. 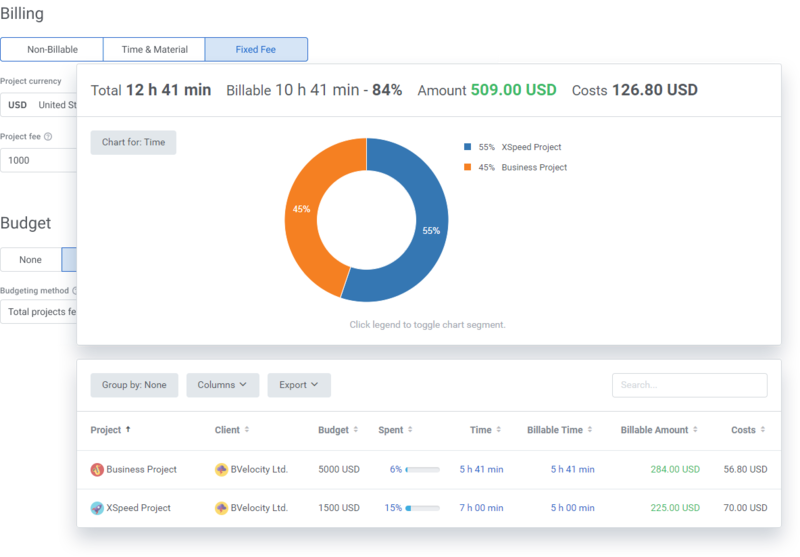 With TMetric, set project budgets, track development costs, and see your earnings. Making reports in TMetric, you have a choice to get a bird-eye view of the projects or focus on details. Zero time waste. Optimal expense tracking. Do you opt for a flexible schedule? We designed TMetric to solve this very problem for ourselves. Now it is our best monitoring solution! Get full information on attendance, work days, working hours, activity levels, overtime, billable hours, and take control of your onsite and remote teams. To get paid on time, TMetric gets you through the ‘compose-the-invoice’ challenge in one step. 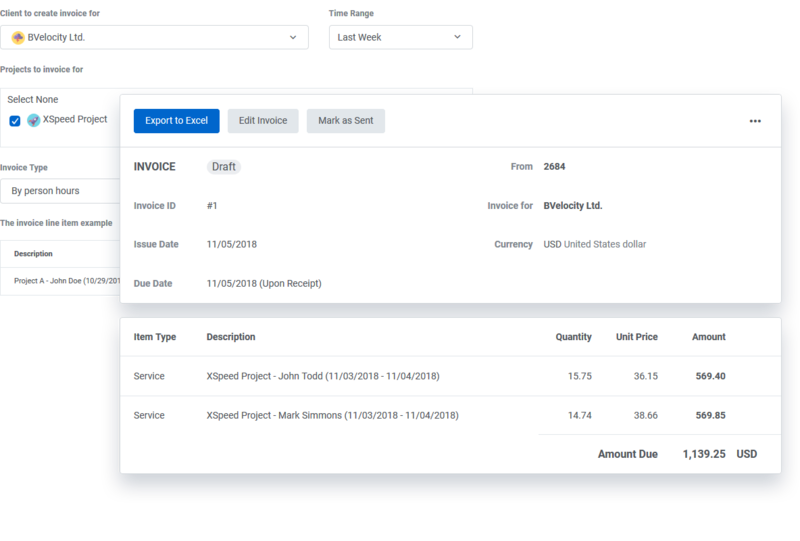 Setting the billable rates is easy, and now invoicing is hassle-free even for complicated ‘time & materials’ projects. Accuracy of TMetric guarantees no billing mistakes. Best, simplest timetracking tool for me. Perfect integration with Trello. Just noticed the latest update of the desktop app. Never forget billing working time anymore! Great timetracking solution. It has a very good integration with Trello, browser extensions and the ability to drill down detailed reports is invaluable. The key thing for me is also the responsiveness of web interface that allows me to make small changes to tracked tasks quickly. In a brief period, TMetric has changed my practice dramatically. I am a business writer, and I bill most of my work on an hourly basis. Before adopting TMetric, I merely estimated the time I spent on projects and their tasks, mostly after the fact. TMetric’s ease of use made it simple to be disciplined about tracking my time, and as a result, I discovered I had been under-billing the work, in most cases by 20 percent or more. 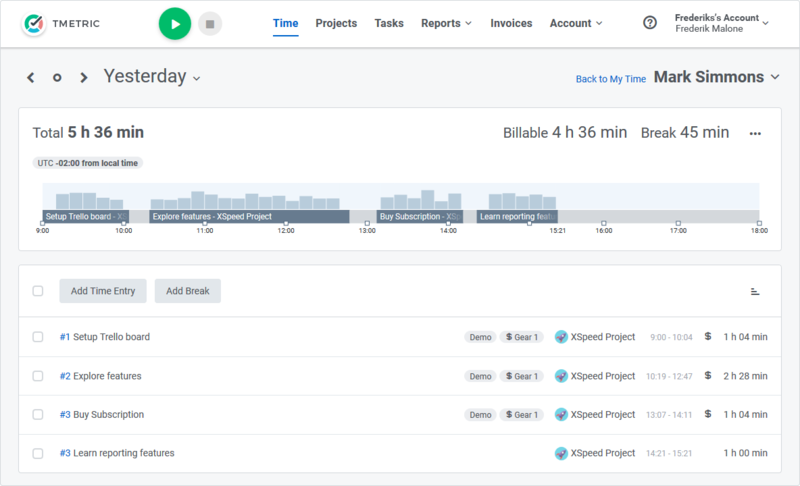 It allows my team to easily track the time they spend on tasks from within JIRA, as well as manually add/track tasks completed outside of regular sprint work. We use this information to log our time and analyze how long different types of task usually take us to complete. Make your business more competitive with TMetric. Start fully-functional 30-day trial right now.